Social workers can help patients better cope with the grief that often has no resolution. Imagine a person with a chronic illness as forever walking down a dividing line between the past and the future. Looking backward, he can see everything illness has taken from him or has forced him to relinquish. Looking forward, he can’t see anything quite clearly. There’s no going back to the past, and the future is uncertain. The experience of chronic illness is invariably one of accruing myriad losses, the depth and breadth of which depend on the severity of the illness and the limitations it imposes. The first and most obvious—the loss of good health and robustness—kick-starts a cascade of other forfeitures called network losses, explains Mila Tecala, LICSW, of the Center for Loss and Grief in Washington, DC. Depending on the nature of the illness, these losses may include comfort, sexual function, career, income, self-efficacy, freedom, cognitive function, intimacy, pride, joy, self-esteem, self-control, independence, mental health, hope, dignity, and certainty. In the most extreme cases, one illness may bring about all of these losses, sometimes over and over again in many ways. Although the losses may be vast, the grief they arouse likely will go unrecognized or unaddressed—oversights that can have severe consequences. A loss of body function or body parts may lead both to a diminished ability to perform tasks, hobbies, or activities of daily living and derail an established career or prevent the fulfillment of an aspiration. This may be magnified exponentially when illness takes away individuals’ abilities to engage in activities they perceive as essential to their lives. An athlete’s chronic illness, for example, may sideline a promising future that he trained for since childhood. A woman who expressed herself through the visual arts may be devastated by severe vision impairment. A mother with unrelenting back pain may be unable to care for her children. Similarly, a loss of body parts—for example, for a woman who has undergone a mastectomy or whose hair falls out as a consequence of chemotherapy—can disrupt someone’s sense of self. The loss of function, aggravated by the loss of status or identity, may diminish self-esteem and fracture body image, which in turn fuels anxiety and depression. Because chronic illness can strip away many of the characteristics that form identity at the same time it causes disability and loss of livelihood, the totality of the losses is potentially enormous. Since these losses aren’t tied to one event but are multiple and repetitive, the ill person may live with perpetual grief, known as chronic sorrow or sadness. The most prominent component is fear, according to Tecala, who says the chronically ill may fear pain, disability, recurrence, and death. They also may live with a constant dread of rejection by loved ones. Many chronic illnesses put a severe strain on relationships, explains Allison Fine, MSW, LICSW, of the Seattle-based private practice Counseling for Inner Balance. She says it’s not uncommon for the well partners to become the caregivers, which creates an imbalance in roles. “Where before they might have been equal, now one is having to help the other get dressed or perform other activities of daily living,” she notes. The result is that the well partners become more like parents or nurses, which not only detracts from the relationships, but also may cause resentment, which in turn may lead to irritability or frustration and a lack of communication, Fine explains. The loss also can ripple further throughout the family. “Accepting that a partner or loved one is not able to do the usual activities can be a profound loss to family members and loved ones as well, thus affecting the dynamics of the relationship or family system,” says Alicia Sloan, MPH, MSW, LICSW, clinical research and special projects coordinator for the Multiple Sclerosis Center of Excellence West for the VA Puget Sound Health Care System in Seattle. Most often, grief is a reaction to a single, time-limited event such as a death. According to Beth Kane, LCSW, a private practitioner in Toms River, NJ, who specializes in working with patients coping with illness, “Death is followed by a sense of finality, which is excruciatingly painful in its own right, but that finality can bring about resolution and closure.” The bereft individual mourns the loss, often supported by friends and family who validate the experience of loss and help the bereaved move through and beyond grief. Of course, acute and terminal illnesses also are accompanied by grief, but as with bereavement over the death of a loved one, the losses tend to be time limited. “An acute illness, while not pleasant, has an end,” Kane notes. “There may be frustration and depression over what the experience is, and perhaps temporary loss, but there is a return to life as it once was.” Even with terminal illness, although the thought of an end is painful, “there is an end. But with chronic illness, there is no end,” she adds. Under these circumstances, there’s a grieving process “that most often eventually leads to resolution or closure along with the healing that provides the person the ability to experience the pain differently, not as acutely,” Kane explains. Grief associated with chronic illness, however, is more complex for many individuals, she notes. For people who are chronically ill, the losses are multiple and permanent and therefore difficult to resolve. Because these losses are unending, they’re known as infinite losses, according to Tecala. “They can affect individuals’ quality of life forever,” Sloan adds. Resolution of this grief can be elusive, as the individual has daily reminders of what was lost, according to Kane. They exist in a constant and unrelenting state of grieving over and over again. And in cases of illnesses such as multiple sclerosis, a complex neurological disease characterized by periods of relapse and remission or progressive symptoms, or Parkinson’s disease, which also may have an uncertain course, patients must live a lifetime of uncertainty, anticipating what may or may not come next, which Tecala calls the limbo state loss. “Most people don’t handle the limbo state loss well for a long time or it becomes paralyzing,” she says. A patient with multiple sclerosis, for example, may deny the illness when the first attack resolves, with the diagnosis really sinking in after the second attack, Fine explains. A person with chronic illness ultimately realizes that the effects of the illness will come and go or will be relentless. “They may figure out how to compensate and move on despite the new limitations from the illness, but then another limitation may appear just as soon as they’ve mastered the other limitations,” Sloan says. They realize that they’re going to live on a roller coaster of emotion. “They understand this is real, and it’s going to happen more than once, and so the grieving process is dragged out and it becomes complicated,” Fine says. It’s hard for people to reach a place of acceptance because they don’t always have a chance to finish the grieving process, she adds. In many instances, individuals with chronic illness may lack awareness that they are experiencing grief. Sometimes health care providers also may be unaware of the extent of the chronic sorrow experienced by the ill or are poorly equipped to address it. “Most providers are cognizant of the losses but are often unable to spend the time it takes to address every issue that may arise with each individual,” Kane says. In the current structure of health care, the provider must address physical issues and may not recognize or be capable of distinguishing the signs of grief or, Kane says, they may recognize the sadness, depression, and guilt but not know how to help. Most often, health care providers are focused on the treatment or the cure, according to Tecala. “That’s the goal, and it’s a noble idea, but there comes a time when a cure is not possible,” she says. Physicians and social workers then need to set more realistic goals for the patient to be able to function as well as possible and to prolong his or her quality of life. It’s not only health care providers who overlook or ignore the signs, though. Many ill individuals fail to realize that the anger, denial, depression, or guilt they experience may be manifestations of grief. Individuals often don’t seek support either because they are unaware that help is available or they don’t know how to approach anyone for help, Kane says. There’s still stigma linked to participating in counseling or seeking support services, she says, adding that it’s not uncommon for patients to feel that they’re weak or crazy for needing emotional support. “They think they’re the only ones who feel this way,” she says. There’s also a lot of pride in people with chronic illness that may make them reluctant to ask for help from providers or loved ones, according to Sloan. “They may be in denial about their limitations,” she says. Her patients with multiple sclerosis, for example, may find it hard to admit that their fatigue may keep them from attending a child’s soccer games or piano recitals. “It may feel like it’s not socially acceptable to turn down social invitations in your social group if you don’t look sick,” she explains. “Friends and family can be incredibly supportive, yet in many instances, they can also be just as unsure how to help the person or so overwhelmed themselves that they don’t have the strength to do so,” Kane says. “Very often, close family and friends can find themselves thrown into this ongoing grief process and are constantly reminded of how their own lives were before, how their own lives have changed, and how the person used to be.” They are as much in need of support and help as the individual who has the illness, sometimes more so, especially if they are the primary caregivers. Among the common consequences of unresolved grief in the chronically ill is a worsening of the illness, Tecala says. “Pain, depression, memory, attention, and fatigue all can be exacerbated as a result of unaddressed grief,” Sloan notes. Unaddressed grief also can result in severe depression and the loss of the will to live, which, Tecala says, may lead to premature death. Grieving itself doesn’t lead to suicidal thoughts, but it does lead people to think about their own mortality, according to Fine. “It’s the chronic depression and persisting sadness and hopelessness that leads to suicidal behaviors,” she says. As social workers, “We can educate ourselves on the types of losses from chronic illness and understand the limitations of each illness,” Sloan says. “This puts us in a great position to advocate and provide practical resources and referrals,” especially, Fine adds, referrals to people who specialize in the grief associated with chronic illness. Tecala says social workers usually have closer relations with patients than do physicians who may come in for 10 minutes and perform an examination and then are gone. Often, the patient just wants someone to listen and to understand what he or she is going through, and this often gets lost in translation, especially in the hospital setting. She says the social worker is in a position to help physicians understand what’s going on with the patients. Since it’s often a hidden problem, social workers initially can help by being aware of the problem and alerting physicians to signs that a patient can’t address loss and grief associated with illness. Tecala warns social workers to beware the patient who is always unavailable to talk. A person in denial, she explains, will find many ways to avoiding talking. Social workers need to look for the signs and complete thorough psychosocial assessments on all clients, Kane says. “This includes using inventories and scales to measure various symptoms, such as the Beck Depression Inventory or the Cross-Cutting Symptom Measure checklist,” she explains. “All psychosocial assessments should include a medical history and inquiry into when the person last saw a physician for an evaluation of any medical issues that may be contributing factors related to the complaints the person has.” There is no one answer for everyone. “Providing highly individualized care is the first priority,” she says. 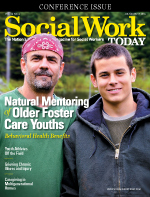 “Some of the interventions social workers can provide include organizing a targeted psychoeducational support group for the specific illness; individual, family, and couples counseling that target the grief and loss from the chronic disease; and networking with the patient’s care team,” Sloan says. Social workers must have patience and compassion, and they must be able to sit with clients through tough times to help them adapt and give them hope while validating how hard their journey is, Fine says. The goal isn’t only to listen to the patient and help him or her learn to accept losses and limitations but also to help him or her “transform the experience into something livable and bearable,” Tecala explains. The soldier who lost a leg, for example, may be helped to accept a prosthesis and become instrumental in helping other soldiers cope with their injuries. The dancer who, as a result of injury will never dance again, may uncover a long-repressed desire to be a writer. The focus can’t be on what was, but on what can still be.